A new report looking at how the $13bn for the Murray-Darling Basin Plan is being spent has found that big agribusiness is being compensated for giving up access to water while communities, graziers, small irrigators and native title holders are having to wear the often harsh effects of the plan. The report, Trickle Out Effect, by the Australia Institute, looks at the Lower Darling and the Menindee region, and finds wildly different treatment of stakeholders. The large agribusiness company, Webster, sold its water rights at Tandou in the Lower Darling to the federal government for $38m and was also paid $40m in compensation for the loss of future business opportunities and for surrendering some approvals to build works. But other farmers who are being directly impacted by the changes are not being compensated. “There is no doubt that everyone in the Lower Darling will be affected by the Menindee project, including through economic loss. The Webster deal has set a precedent for compensation to be paid to all stakeholders: Barkandji, graziers, Menindee businesses and property owners and irrigators,” TAI’s senior water researcher, Maryanne Slattery, said. Major changes are being made to the management of the Lower Darling and Menindee Lakes. The Menindee Lakes water savings project aims to reconfigure the lakes to reduce evaporation, remove permanent irrigation from the Lower Darling and change Broken Hill’s water source from the lakes to the Murray River, via a 270km pipeline. These changes bring benefits – the reduction in evaporation and other water demand in the Darling will allow irrigators in the Northern and Southern Basins to use more water. However, the changes are also having major impacts on the economy, community and environment of the Lower Darling Region. With the withdrawal of irrigated activities along the Lower Darling, and plans to replace Broken Hill’s water supply with a pipe, it is likely the river will run dry along the 500km between Bourke and where it meets the Murray. This has serious implications for towns like Wilcannia and Pooncarie and for graziers who live along that stretch of the river. “Webster was compensated $40m, while communities across the entire NSW basin got only $36m to adjust to the basin plan. No other business has received compensation in the Lower Darling or anywhere else in the basin,” Slattery said. In particular the Australia Institute argues the Menindee Lakes plan will have devastating effects for the Barka people who have lived on the banks of the Lower Darling for more than 40,000 years and who hold native title to thousands of hectares in the region. After an 18-year battle to achieve native title, they now face the prospect that water will be removed from the area – removing part of the justification for their claim in the first place. Documents obtained by the Centre Alliance senator Rex Patrick under an order for papers reveal that “the project is [likely to be] unable to meet all of the aspirations of native title owners/local/wider Aboriginal interests”. “To me, native title means nothing unless we are Barka … Without the Barka, we’re finished. So what’s a bit of land without water?” elder Badger Bates told the South Australian Murray Darling royal commission. “There is no doubt that everyone in the Lower Darling will be affected by the Menindee project, including through economic loss. The Webster deal has set a precedent for compensation to be paid to all stakeholders: Barkandji, graziers, Menindee businesses and property owners and irrigators,” Slattery said. Patrick said he would be referring the TAI’s report to the auditor general which is already looking into the Tandou water sale. “We need to understand the timing related to the deal, the interaction between Webster and DAWR which seemed much cosier than has been demonstrated with other stakeholders and the rationale behind the compensation approach that seems inconsistent with a ‘willing seller’ policy and indeed with the way other sellers have been treated,” he told Guardian Australia. “Another issue is whether the seller is legally bound to decommission the on-farm and off-farm irrigation infrastructure,” he said. The Tandou purchase has also raised concerns with the Greens. “The Murray Darling Basin Plan is in tatters, thanks to water theft, meter tampering and special treatment to big corporate irrigators at the expense of everyone else,” the Greens Murray Darling Basin spokesperson, Sarah Hanson-Young said. “River communities want the plan to work, but as long as the special deals continue, and the flow of money and water is centred around power, they can have little faith in the system that is meant to be in place to help everyone. The Coalition concluded the deal with Webster to buy the Tandou property’s water without tender, after an approach to sell its water rights in 2017. The federal government relied on valuations done for the NSW government and ignored its own valuations undertaken by the Australian Bureau of Agriculture, Resources and Environmental economics. 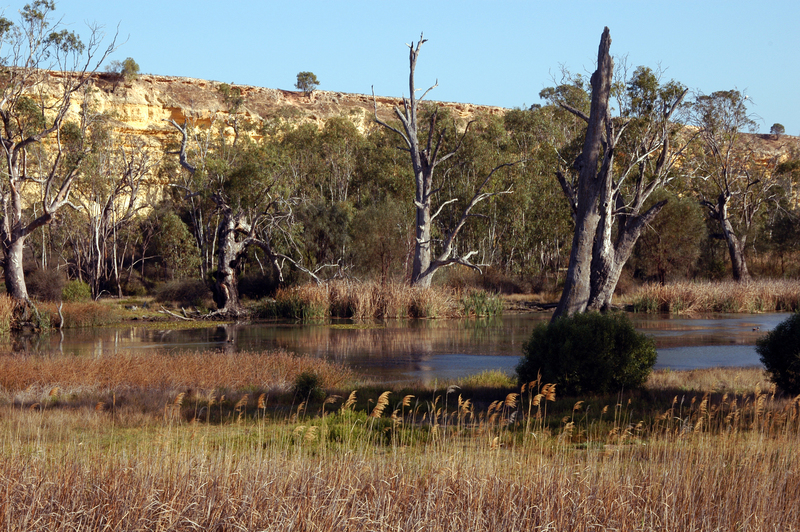 By selling the water rights for the Tandou property, Webster removed one of the major obstacles to the NSW government’s plans to reconfigure Menindee Lakes.